Few second after, the meet again. Luffy are blown away by super powerful Mochi punch. 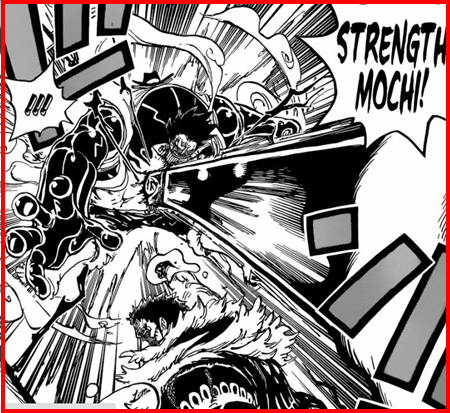 Luffy regain his sense and prepared his KING KONG GUN. Brulee do not believe her eyes when see how his brother got hit like that.